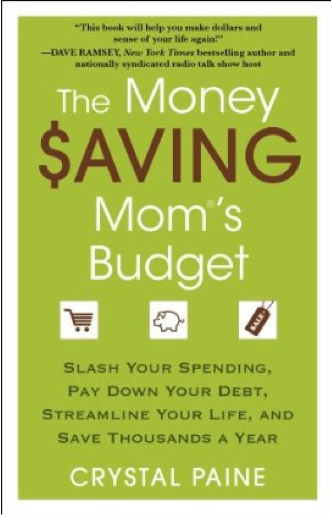 The Money Saving Mom's Budget - Book Review - It's Gravy, Baby! I first stumbled upon MoneySavingMom.com in 2008. I was pregnant with Bryson, working, and wishing I could somehow be a stay at home mom. I used my first coupon in October 2008 and by the time he was born in December, I had a nice little stockpile going. To make a long story shorter, God intervened at the perfect time, opened some doors, and I never went back to work. My dream of being a stay at home mom came true! 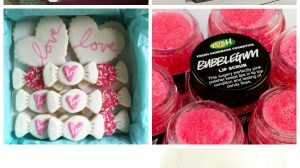 If I could only read one blog ever again, it would be MoneySavingMom.com. Crystal isn’t just about saving money- she shares inspiration, ideas on simplifying, and productivity tips. I knew without a doubt that her new book, The Money Saving Mom’s Budget would be worth the read. (Or listen, in this case.) I’ve never listened to an e-book before, but hearing her voice, her passion for helping others, and taking it all in while I’m working in the kitchen is great. I’ll probably listen to it over and over because it’s so packed with information. Crystal sounds like your best friend, but she doesn’t sugarcoat the facts. It will take hard work and sacrifice, but it’s worth it. The chapter about budgeting spoke to me. Budgeting is the one area we stumble and Crystal offers tons of information for new and seasoned budgeters- even listing some categories ideas to help you get started. You can purchase The Money Saving Mom’s Budget: Slash Your Spending, Pay Down Your Debt, Streamline Your Life, and Save Thousands a Year at Amazon.com. Enter today by clicking one of the icons below. But hurry, the giveaway ends 4/4/12. Winner will be announced at The Money Saving Mom’s Live Webcast Event on 4/5. Crystal will be hosting an evening of chat, laughter and encouragement – bring your friends! She’ll share tips and advicde and her husband will be joining her to share how the prinicples Crystal outlines in her book have dramatically impacted their family life. She’ll also be giving away some GREAT prizes: gift certificates, books, and much more! So grab your copy of The Money Saving Mom®’s Budget and join Crystal and friends on the evening of April 5th for an evening of fun of learning, sharing and encouragement. Don’t miss a moment of the fun. RSVP TODAY and tell your friends via FACEBOOK or TWITTER and increase your chances of winning. Hope to see you on the 5th! Want more info about the MSM? Click here! I definitely need help with my budget. I’ll be sure to check this book out!